Call us to schedule an inspection! Asbestos is a group of naturally occurring minerals that were commonly used in construction through the late 1970s. 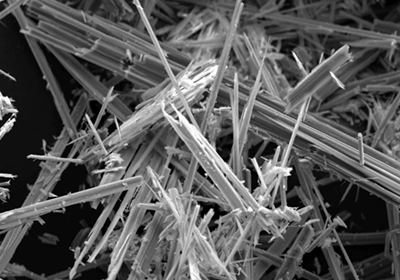 When broken or disturbed, asbestos-containing materials release fibers that can cause fatal lung and stomach diseases if inhaled or ingested. By law, anyone owning or working on a property must presume the presence of asbestos until tested and proven otherwise. A survey is needed before remodeling or demolishing a home, apartment, condo, office, store, or any other type of structure. Such surveys can include scraping sprayed ceiling texture, pulling out vinyl flooring, tearing off an asphalt roof, cutting out stucco, and replacing an old furnace or ducting. Our California Division of Occupational Safety and Health Certified Asbestos Consultants will provide you with quality asbestos testing at reasonable prices. Our inspection reports provide homeowners and home-buyers with peace of mind, and contractors with guidance for ensuring that their construction work is compliant with Local, State, and Federal agencies. What health problems are caused by asbestos? Why should I have an asbestos inspection? Your inspection and report will give you outside lab results, photos, and expert recommendations. Environmental Inspection Services inspectors are California Certified Asbestos Consultants, So you can use our cover letter for local building permits and to satisfy Air Quality Management District reporting requirements prior to demolition. Above all, you will have the peace of mind that your family, neighbors and workers are not exposed to hazardous asbestos fibers. When do we have to check for asbestos? The Southern California, Bay Area Air Quality Management Districts, CAL OSHA, and local building departments mandate asbestos testing before remodeling or demolition. We provide the testing, reports and general information you will need to follow the AQMD rules and satisfy your local building department requirements. How do you inspect for asbestos? What do you look for? For remodeling, Environmental Inspection Services tests materials that will be disturbed by the renovation — most commonly interior wall/ceiling plaster, sprayed ceiling texture, ceiling tiles, vinyl floorings and exterior stucco. For complete demolition we survey all asbestos-containing materials. The above list, plus many more — asphalt roofing, window glaze compound, heat duct and water pipe insulation, firebrick, mortar, and more. How invasive is the sampling technique? Not very. In order to sample a possible asbestos containing material, we drill out a small hole or collect half a teaspoon of the material. The number of samples required for a thorough asbestos testing depends on the amount and type of material in the building. Environmental Inspection Services follows federal, state, and local AQMD protocols to determine the number of samples needed. For a more precise estimate of how many samples are needed for your asbestos inspection, give us a call. May I stay while the inspection takes place? Yes. 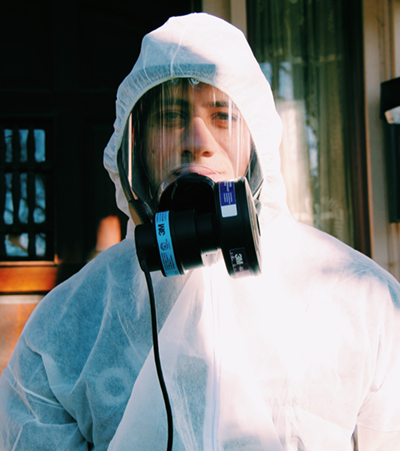 You are safe to stay in your home or building throughout the duration of our asbestos testing. I have popcorn ceiling in my house. What should I do? Call us for an asbestos inspection appointment. We will collect samples, send them to the lab and provide you a written report with our findings, photos and recommendations. 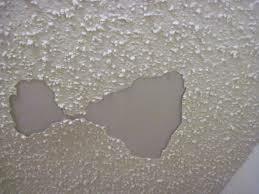 The probability that your ceiling contains asbestos depends on the type of popcorn ceiling it is. If it is sand-based there is typically a 1/15 chance. If it is a larger popcorn-type texture, there’s a 1 in 2 chance it contains asbestos. Can you tell if a material contains asbestos just by looking at it? No. In order to tell whether a material contains asbestos, you must use either PCM (Phase Contrast Microscopy) or TEM (Transmission Electron Microscopy). The cost depends on many factors. Rather than display imprecise cost estimates, we prefer to communicate with you and gather more information about the work you need so we can give you our most accurate pricing. What are the chances that my property contains asbestos? Hundreds of building products used asbestos through the 1970s, so if your property is older than 1980 it likely contains asbestos. How long does it take to do an asbestos survey? For an asbestos home inspection, typically 2 to 4 hours. For commercial asbestos testing, the time required depends on the size and layout of the building. Give us a call for a more accurate time estimate. How long does it take to get lab results? Lab results are available in 2-3 working days. On special request, expedited lab results can be obtained within 24 hours. I already removed the asbestos-containing material, is there still a risk? Even if you have removed the material, there is a risk that asbestos fibers are present in the room. Do you perform asbestos removal? 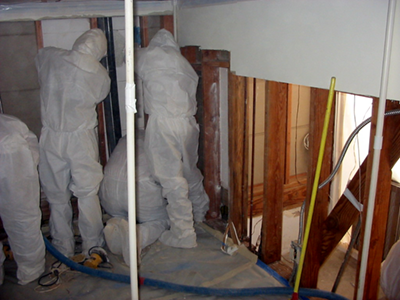 Under California state law, Certified Asbestos Consultants cannot perform removal of asbestos containing materials. This rule is in place in order to avoid potential conflicts of interest and ensure the most objective asbestos testing possible.